This book retells the history of the last communist labour camp in Bulgaria, near the town of Lovech and the women’s camp near the village of Skravena between 1959-1962. During this time more than 1500 people were interned in the camp, of whom 151 were killed in the most cruel manner. The camp was created on the instructions of the Politburo of the Bulgarian Communist Party with the full knowledge of Todor Zhivkov, the party leader. Control over the camp was exercised by the State Security Service. The first groups to be interned were criminals in the aims of re-educating them through labour, but very soon the camp was filled politically inconvenient individuals. The prisoners were crowded into sheds close to a rock quarry where they were forced to work from morning until night. They had no medical services and their food was of very poor quality. The bodies of killed prisoners were not handed over to their families but buried on one of the islands near Belene, in the Danube river, on the site of the largest political camp in Bulgaria. The death certificates of the majority of the dead prisoners described the reason for death as sunstroke. In 1962 two prisoners managed to escape from the prison but they were captured at the border as they attempted to cross it. They told their captors of the murders and torture at the camp. As a result a party commission was convened within the supreme party body – the Politburo of the Central Committee of the BCP – which investigated the terrible acts perpetrated in the camp. The party leadership led by Todor Zhivkov, however, covered up the truth and the crimes were not investigated and the camp was quietly closed. 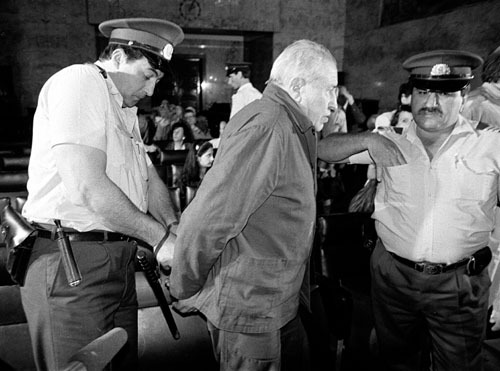 The murders which took place at the camp were only investigated in 1990, after the collapse of communism. The author examines the attempts the bring the camp officers and their superiors to trial after the changes in the Bulgaria, and the legal problems which the magistrates were faced with. “The Secret Case of the Camps” was the first documentary work by Hristo Hristov. It was based on the official investigations by the Senior State Prosecutor’s office in 1990, amounting to a total of 48 archive files and evidence from the most senior officials, including Todor Zhivkov, who admitted that he had used Soviet experience in setting up the camp. Hristov examined the courts’ archives for 1998-1999. The book is the most objective and complete study of the Lovech camp and its use as a repressive instrument by the BCP and Todor Zhivkov, eighteen years after the communist party took power in September 1944 with the help of the Soviet army. In 1999 Bulgarian National Television made a two-part documentary film based on Hristo Hristov’s eponymous work.